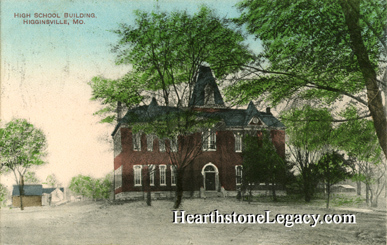 This postcard view pictures the old high school building somewhat surrounded by trees. Click here for a different view of the same high school building and also when known as the North School. Published by W. Harvey Smith. Printed in Germany. This postcard was postmarked in 1911.